When choosing a vacation site in Europe, many tourists think of the major capitals like London, Madrid, Paris and so on. They don’t think of the smaller islands that extend out and away from the continent. Lanzarote is one such destination; a part of the Canary Islands located off the coast of West Africa, it is home to some of the strangest and most alluring sights in the world. Let’s look at just a few of them. and climate which is balmy and never drops much below 80 degrees Farenheit. However, there’s also a lot to do on this strange little island. For example, if you’re interested in viewing some of that aforementioned beauty, you might check out Timanfaya National Park. For 20 Euros you can take a five hour tour that includes a dromedary ride around the twists and turns of Lanzarote roads. 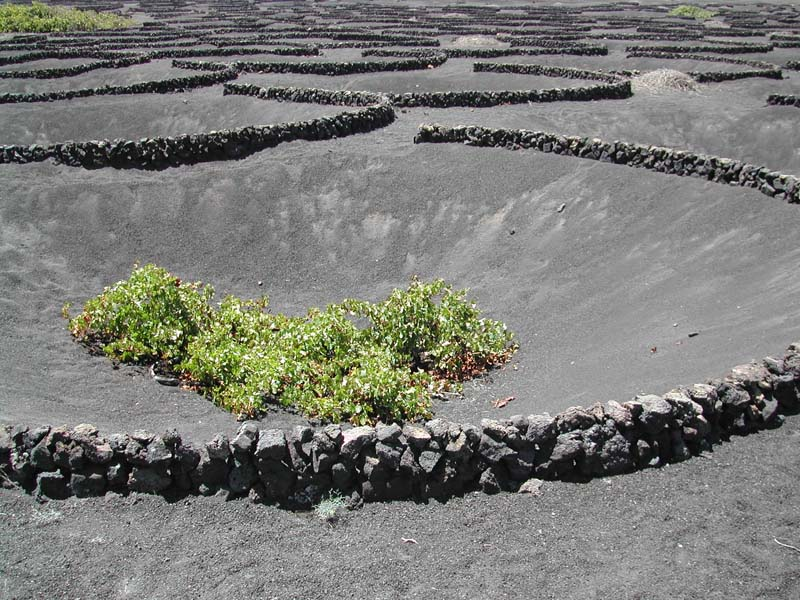 Some of these tours will take you past the legendary Lanzarote volcanoes. Yes–volcanoes. While we’re on the subject of rare, strange and beautiful attractions, we might talk about the Jardin de Cactus, a cactus garden on the North end of the island. The garden is installed in an old quarry and contains over ten thousand varieties of cacti from across the globe. Interspersed among the prickly plants are sculptures hewn from volcanic stone. 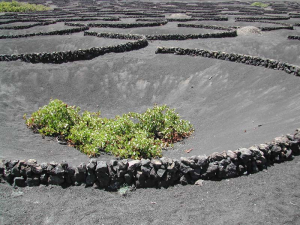 In a similar vein are the volcanic vineyards found in La Geria. Typically, vineyards are found in lush, green, vegetative areas like Tuscany in Italy or the Napa Valley in California. Unlike those regions, La Geria is covered in volcanic ash produced by a massive eruption that occurred in the early 1700’s and destroyed well over a dozen towns. Nowadays, this layer of ash actually functions as a robust soil that produces flavorful, unique wines found nowhere else in the world. None of this is to say that Lanzarote is only for those in search of the surreal and majestic (though, honestly isn’t that a pretty good reason to go on vacation? ); there are also plenty of excellent, typically tropical spots and activities of which you can partake. An obvious example are the beaches, which are perhaps as famous as the volcanoes. Playa Blanca is one of the most famous resorts and beaches on the island. It is now heavily developed, but also well served with luxurious amenities. If you like to have space, there’s Playa Grande which is the major beach of Puerto del Carmen. Playa Grande is massive enough, at over a half mile in length, to ensure that you’ll have plenty of room to lay out your towel and set up your umbrella. These are just a few tidbits about Lanzarote. The island is ancient and its history and landscape as circuitous as the mountain passes that wend around its volcanoes. You could (and should) visit it more than once and keep an eye out for that ever-present totem of the strange that seems to permeate its every fiber. I wrote a tourist-centered article about Lanzarote that highlights some of its attractions. I put an emphasis on its strange and rare qualities to set it apart from other tourist blogs. Let me know what you think. 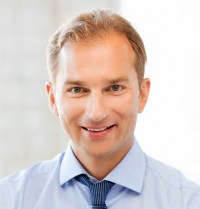 I look forward to working with you in the future! Posted in from Peter Moro and Tagged La Geria, Lanzarote, moro, peter, Sheeralienbeauty.